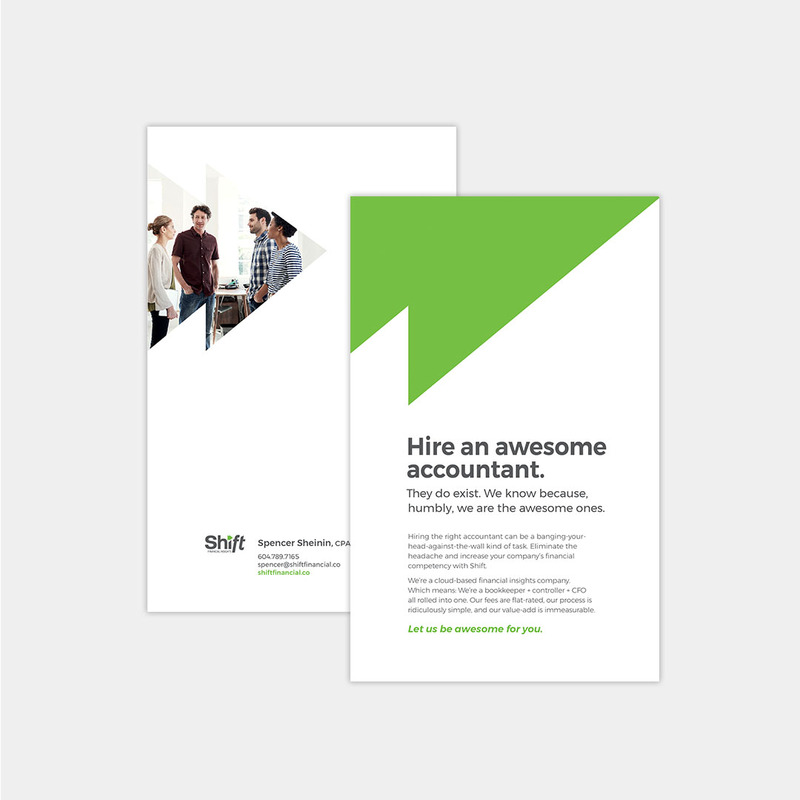 Shift Financial came to us with two things: A logo and an idea to provide affordable, CFO-level accounting and insights to help small business owners and entrepreneurs build their businesses without bashing their heads against walls. Because, let’s be honest, nobody likes accounting except accountants. Shift challenged us to bust them out of the accounting stereotype, and give their innovation company a voice, an edge, and a personality to booth. We worked with Shift to write and launch a website, carve out and develop a new business development strategy including a personalized direct mailer and a new prospect drip sequence campaign, plus develop essential brand pieces—like business cards. Shift was brand new to the scene and had a logo without a brand. 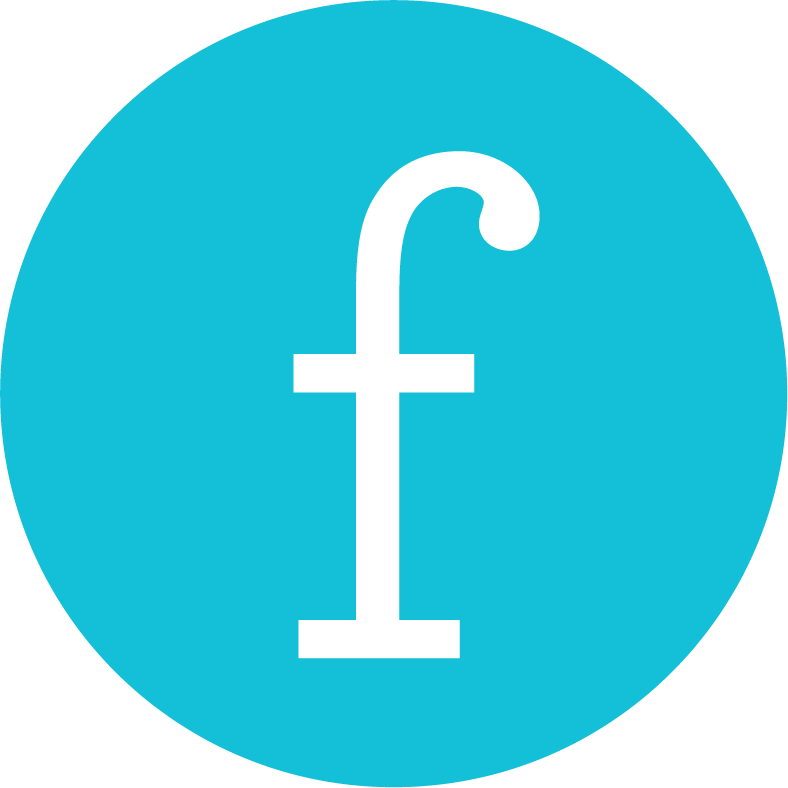 To avoid reinventing the wheel, we started with the existing logo and built a brand, including typography, secondary palettes, graphical elements, and submarks to make the brand more robust. The goal was to get the website up “fast” but without compromising integrity. 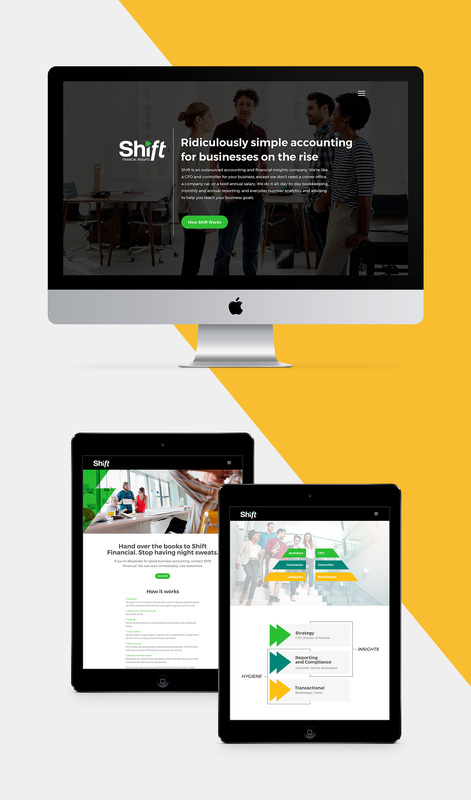 We started with a theme to streamline the process, then we established a brand voice and authored content, and designed a versatile design with a WordPress backend that could grow with the business. 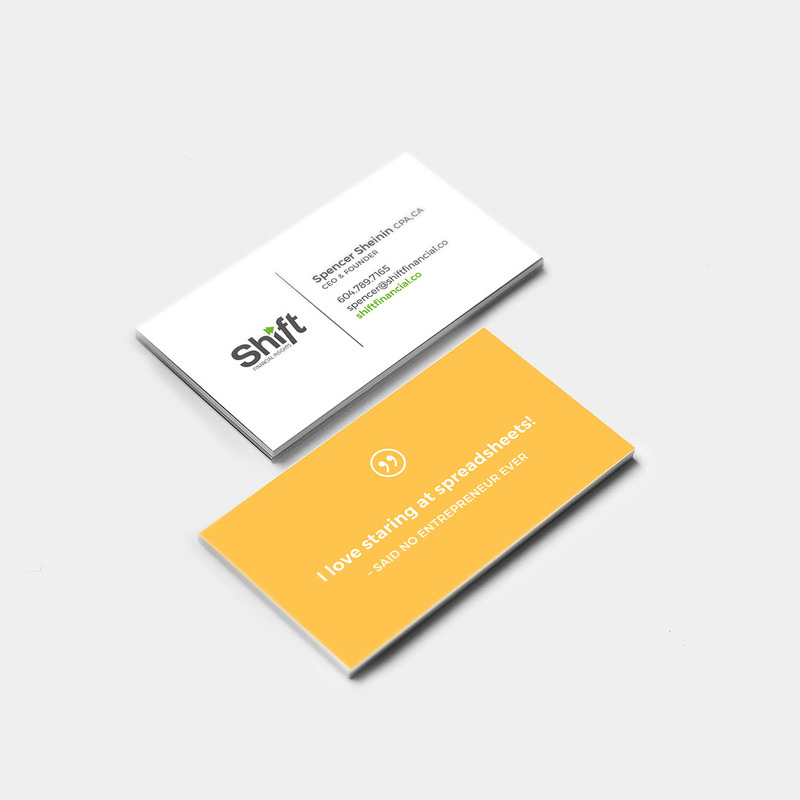 Just because accounting is a straight-laced business doesn't mean Shift has to have boring business cards. We coupled a super clean, you-can-trust-us design on the front with colourful, cheeky backs. A combination that truly encapsulated the highly professional yet super approachable personality of the biz. There are a lot of accounting companies vying for a piece of the entrepreneurial market pie. To help Shift stand out as the awesome company they are, we devised a literally awesome DM campaign, featuring the Book of Awesome and a handwritten note from the prez, for vetted prospects. Real mail. Real awesome. True fact: Accounting is dense. And for people who aren’t accountants, it can be confusing too. We helped Shift drill down the essentials into easy-to-understand infographics to support presentation slides.